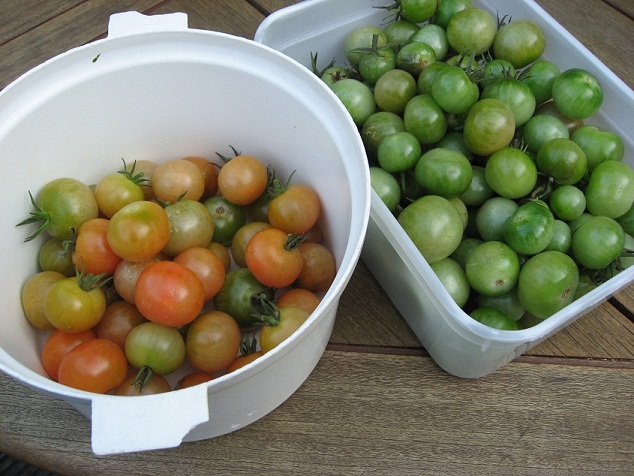 A couple of weeks ago, it was time to cut down the tomato vines and bring in all the remaining tomatoes, ripe or unripe. Fortunately the weather was gorgeous, so there was a happy hour or so spent in the garden, and then it was time for even more happy hours spent in the kitchen! First of all I made up a big(ish!) batch of a simple tomato pasta sauce, half of which was eaten straight away and the other half went into the freezer. 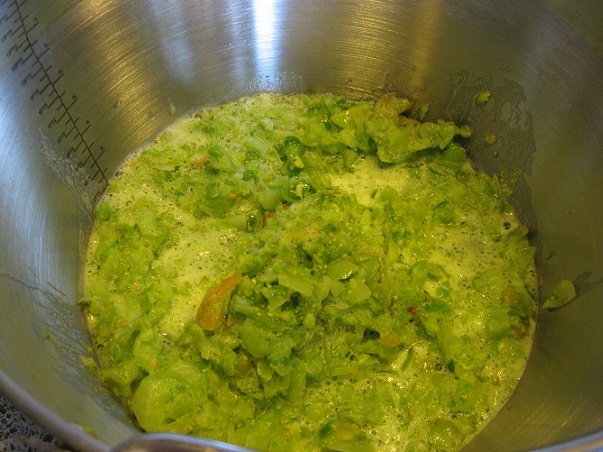 Then it was time to get started on the green tomato chutney. I make a lot of chutney, but this is one of my favourites. I think it is the combination of the bitter taste of the tomatoes with the sweet of the sugar and the sultanas, and it is perfect on cheese on toast! Prepare the tomatoes, apples, onions and garlic by chopping them finely or mincing them in a food processor. Put them into a heavy bottomed pan with all the other ingredients except the sugar. Bring to the boil and simmer for around 20 minutes to allow the tomatoes to soften, then add the sugar. Leaving the pan uncovered, simmer the chutney until it thickens. This should take 1 to 1 1/2 hours. Meanwhile heat some clean jars in an oven set at 100C for at least 10 minutes to sterilise them. Pour the chutney into the jars and seal straight away. 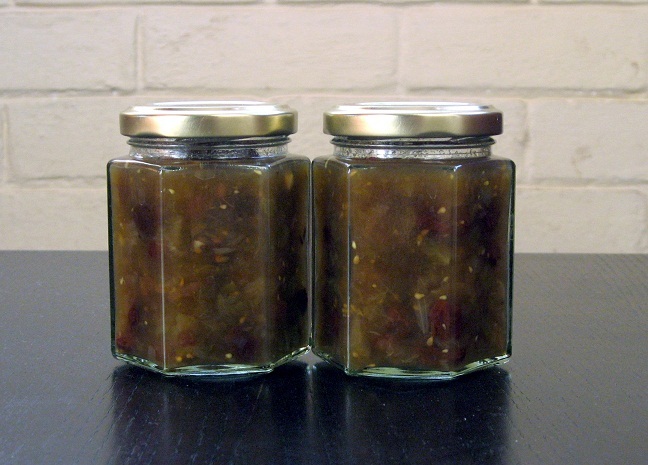 Leave the chutney for at least 2 weeks before eating, to allow the flavours to fully develop. Autumn Pursuits at their Best! What to do on a glorious autumn day, when the sun shines with that amber glow only seen at this time of year? Well, the best answer is a hearty walk followed by a big lunch in friendly pub, preferably with a blazing log fire thrown in (the weather has turned nippy after all!). 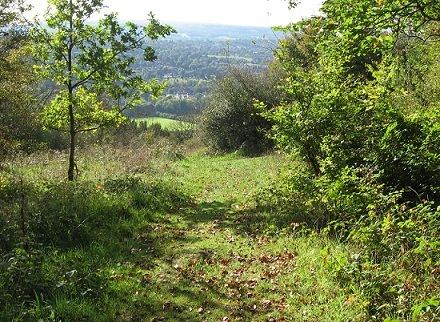 So this weekend we headed to Box Hill in Surrey. We found the route of our walk in a wonderful old collection of walks published by the AA in 1975 called ‘No Through Road’. 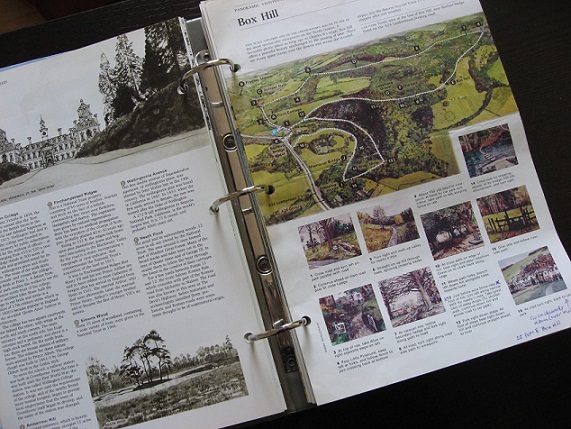 We’re always surprised that despite the age of the book, many of the walks remain exactly as described and we can complete the walks with no difficutly. Fortunately, our reservation was at the Star pub in Leatherhead, who had already proved themselves friendly and accommodating. Not only did they have a couple of veggie options already on their menu, but when quizzed about any wheat-free options when we booked, they rustled up a Nut Roast with roast veg and a veggie gravy! The roast was a lovely herby concoction with chunks of nuts and the gravy complemented it well. Mr Offmotorway had the baked field mushroom filled with garlic cream cheese and spinach and wrapped in a pastry lattice. The filling was delicious with just the right amount of garlic. And yes, they did have a log fire! Last weekend saw the wonderful World Porridge Making Championships take place in the small village of Carrbridge in the Scottish Highlands. And this year the title has returned to Scotland, to the safe hands of Neal Robertson, who runs the Tannochbrae Tearoom in Fife. Last year’s winner was Matthew Cox of Portland, Oregon. 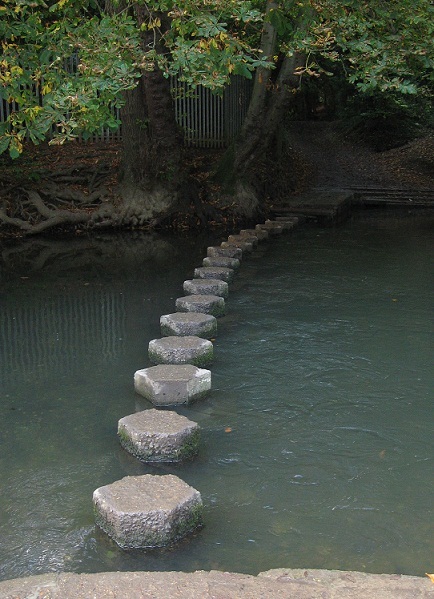 The competition is organised by the Golden Spurtle, an organisation named after the traditional rod-shaped instrument used to stir the porridge (or porage if you prefer). Neal Robertson however, spurned the spurtle and used his own invention, a spon, or double backed spoon. Rules for the competition are strict and are awarded to the best porridge made from untreated oatmeal and not oat flakes, with just water and salt. 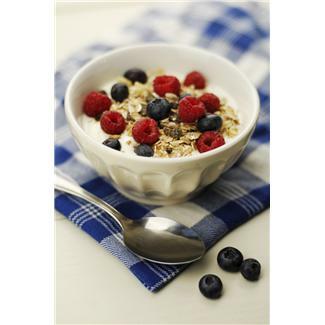 Judges, who may add milk cream or sugar for tasting the porridge, award the prize on taste, consistency and colour. A further prize is made for a speciality porridge made with added ingredients. This year the winner was Catherine Caldwell from Calgary, Canada with her Canadian Cranberry Apple Crunch. Many people (myself included) may still have porridge for breakfast, but porridge and gruel have pretty much disappeared from recipe books. I wouldn’t have given this much thought, until, when researching Early Vegetarian Recipes, I discovered that many of the books I read had chapters devoted to the subject! There is however a surprising variety in the recipes – they aren’t all made with oats, some are savoury and they tend to come laced with sugar, dried fruit, molasses, nutmeg and lemon juice. Here’s a couple of the old recipes for inspiration. Barley – Of this grain a rich substance may be composed, by taking one pound of it in a hulled sate and steeping it a sufficient time in milk. The milk and the barley may then be slightly boiled. Cream, mace, cinnamon, salt, and sugar may be added. Currant Gruel – To a quart of oatmeal gruel, strained, add two table-spoonfuls of currants, and after boiling a few minutes, add sugar and nutmeg. Prospect Books is currently offering a selection of their wonderful food and cookery books for just a fiver! Their Twelve Books for Christmas list includes the very wonderful (ok, my own!) 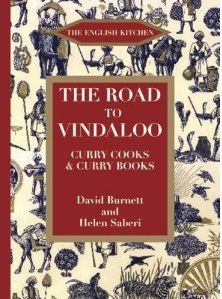 Early Vegetarian Recipes, and books on subjects ranging from rhubarb (Rhubarbaria) to Curry (the Road to Vindaloo), as well as ‘Open Mouthed’, a collection of poems on food. Prospect Books is a small publisher based in Devon, England, and specialises in books about cookery, food history and the ethnology of food. The books normally retail at £8.99 or £9.99, so it’s a good chance to snap up a bargain! Red Cabbage is one of those vegetables which looks so vibrant in its raw state, but which tends to leech colour if you just boil it as a side dish. 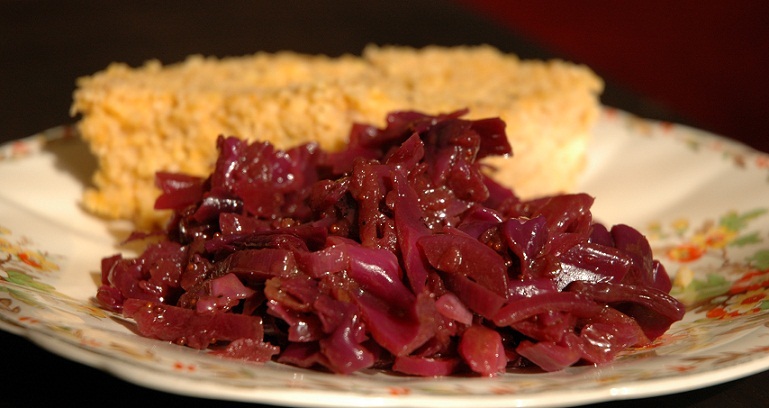 This recipe not only brings out a wonderful sweet flavour, but gives the cabbage a brilliant, deep red shine! Fry the onion and mustard seeds in the oil, over a medium heat, until the onion has softened. Add the cabbage and apple, stir and fry for about 5 minutes. Add the two vinegars and water, put the lid on the pan and cook for about 20 minutes, until the cabbage has softened. Keep an eye on the cabbage, and if it dries out, add some more water. Once the cabbage is cooked, add a dash of the balsamic and stir just before serving.